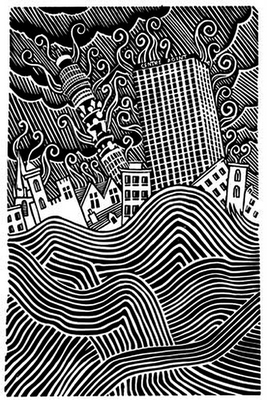 Currently running at the Lazarides Galley the first solo exhibition by Stanley Donwood titled "London Views. Artist and designer Stanley Donwood has gained worldwide recognition for his work on the album and poster art for Radiohead. He has collaborated with the band since 1994, when he designed the artwork for their second album "The Bends". The show opened on the 19th May 2006 and runs for about a month, 11am – 7pm.